Land in Detroit has been widely covered in the media as the city and it’s residents have grappled with widespread subprime mortgage lending, myriad tax foreclosures, and targeted blight removal. The primary connection between these major crises and efforts in Detroit is property speculation. At least 20% of land in Detroit is owned by property speculators, defined by the amount of property they own that is not registered to an owner that lives in the same neighborhood. Property speculators benefited from the new inventory of property created by the mortgage crisis, but in turn fueled the decline into blight of once intact neighborhoods. 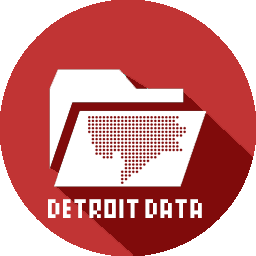 This collaborative mapping project is not the first to examine individuals and corporations that have held large swaths of land in Detroit, but it is the first to examine the true extent of property speculation by digging into the records of shell companies and LLC that are often used to hide ownership or skirt tax payments. Not all property speculators are bad people, but the process of speculation has far reaching negative impacts on neighborhoods and the people who live in them.